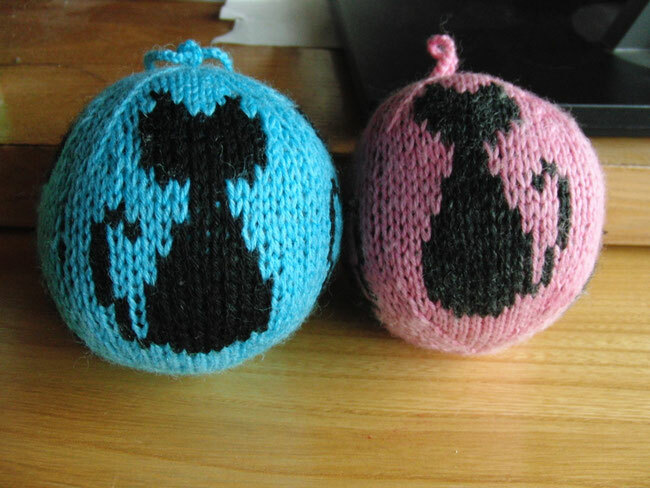 X-mas Balls for Cat Lovers - monemades Webseite! A whole lot better, don't you think? They are a quick knit which requires only a few gram of yarns and a bit of courage to get through the fiddly cast on section and of course, you should know how to knit in the round. They are knitted bottom up and one starts by casting on 12 stitches using the Magic Circle Cast on for Knitting, as explained for example in this video . Then, one of the charts below is worked 4 times around, increasing and decreasing as shown in the chart. When about half of the Christmas ball is done, pull the small hole at the bottom close and weave in the yarn ends of MC and CC. 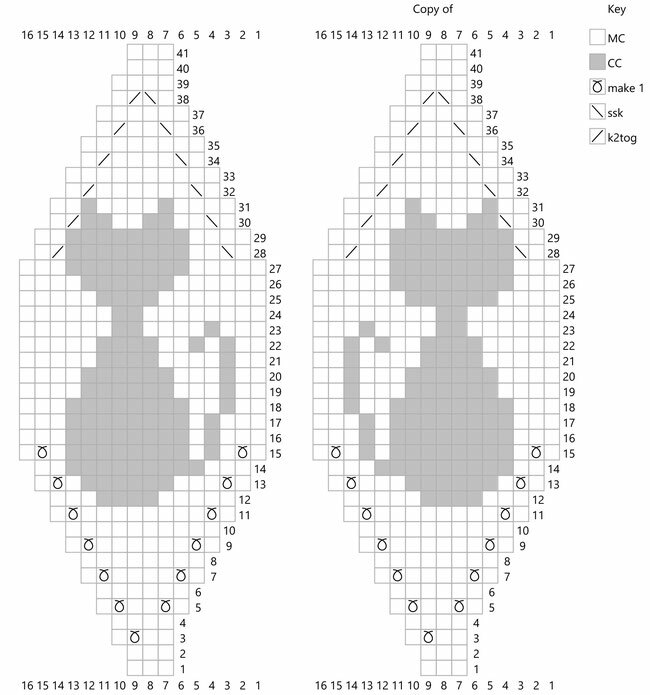 Once all chart rounds have been worked and there's again only 12 stitches on the needles, break the yarn, leaving a long tail of about 60 cm (24") and then thread the tail through the live stitches. Don't pull the hole close, but keep it as loose as possible to now stuff the Christmas ball with some fiberfill. Once happy with the shape, pull the hole close and use the tail to create the hanger. 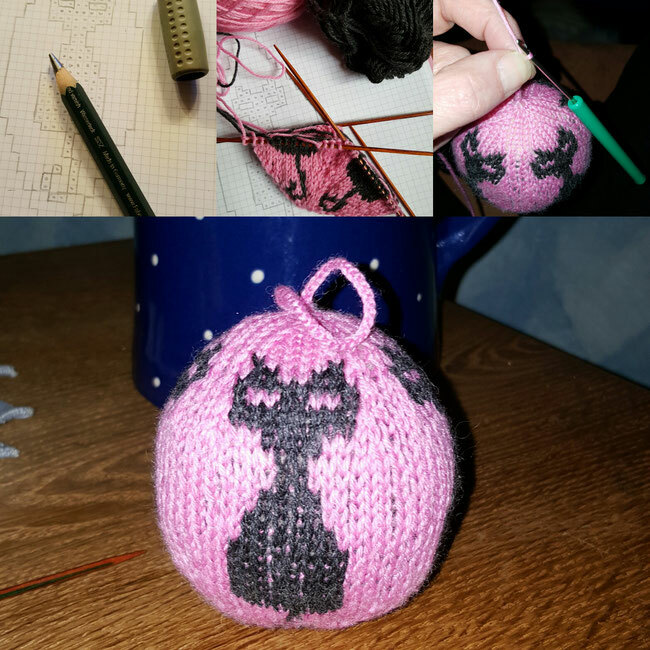 I used a crochet hook to make a crochet chain of about 40 stitches and then used the remaining tail to sew it to the Christmas ball to form the loop. Voilà, a Christmas ball for a cat lover.